The living room, dining and kitchen area is cosy and well-integrated, with plenty of natural light from the large windows. 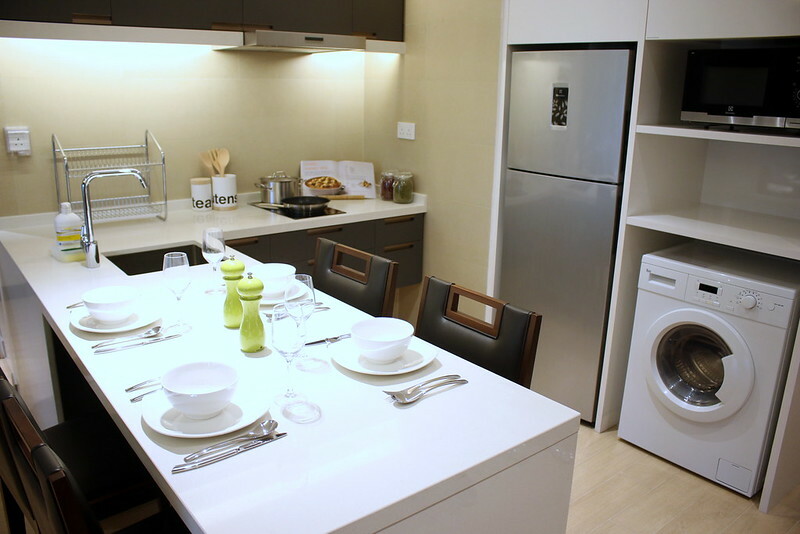 And similar to the Oasia KL Hotel, the apartment is fully furnished with electrical appliances and kitchenware. There's a 2-in-1 washer-dryer too. 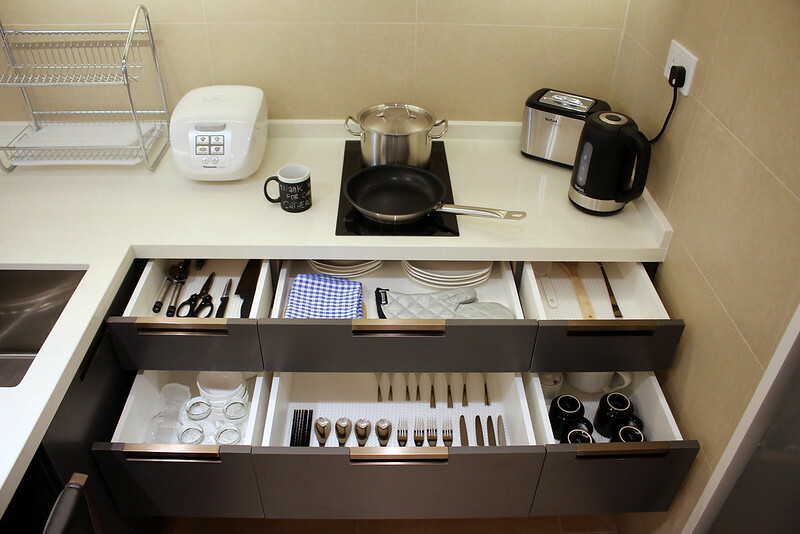 All the necessary utensils and basic cooking equipment are on hand for simple meal preparations. There are several bedroom configurations. 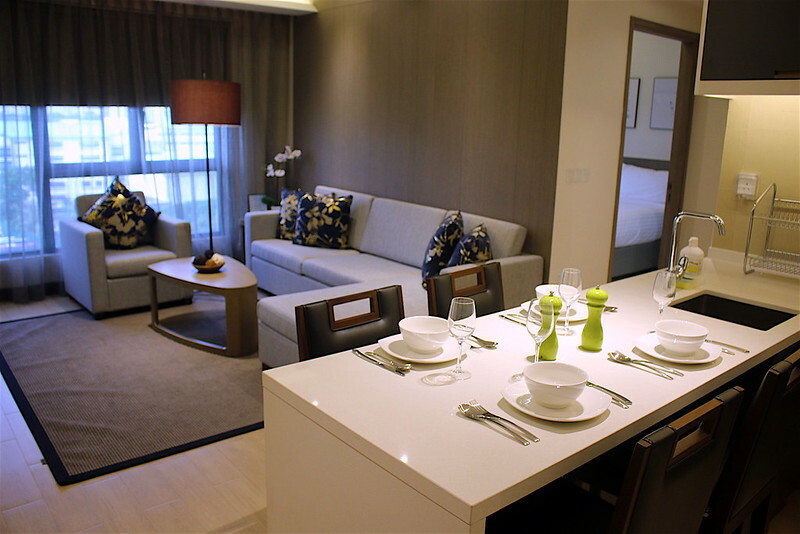 Studio, one bedroom and two bedroom apartments are available. 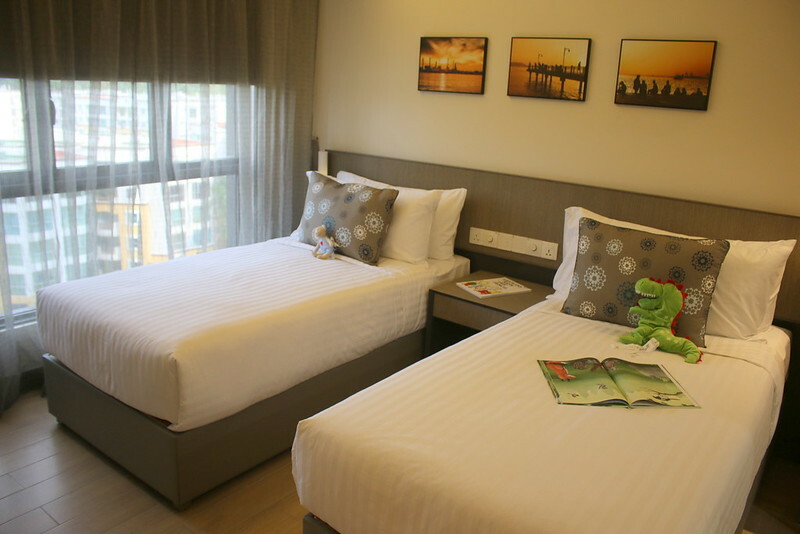 You can have double or twin beds. All bedrooms are ensuite, so you'll have the convenience of a bathroom attached. 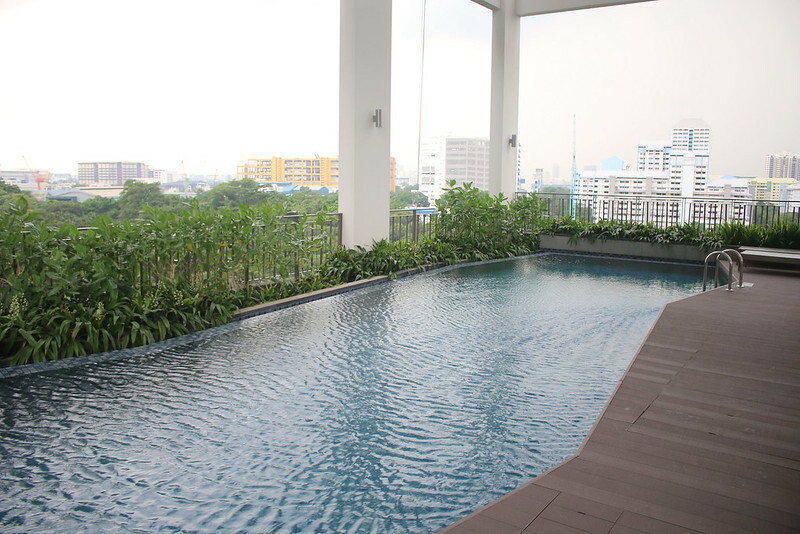 On the seventh floor, there is a private pool. It's a decent length for mini laps. 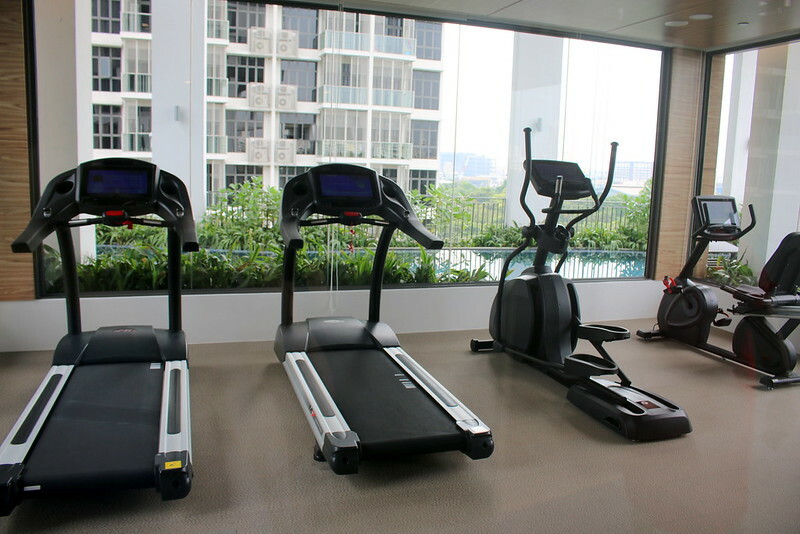 There is a small gym with treadmill and elliptical machines as well as free weights. 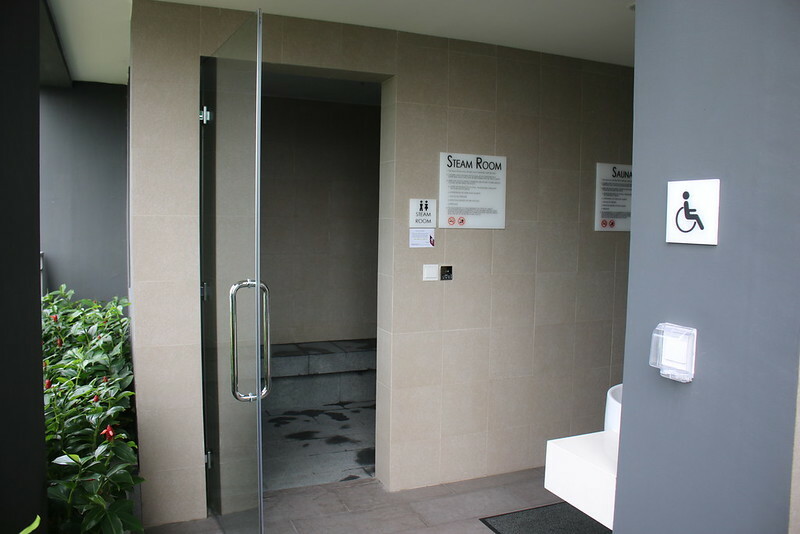 Round the corner is a sauna and steam room. 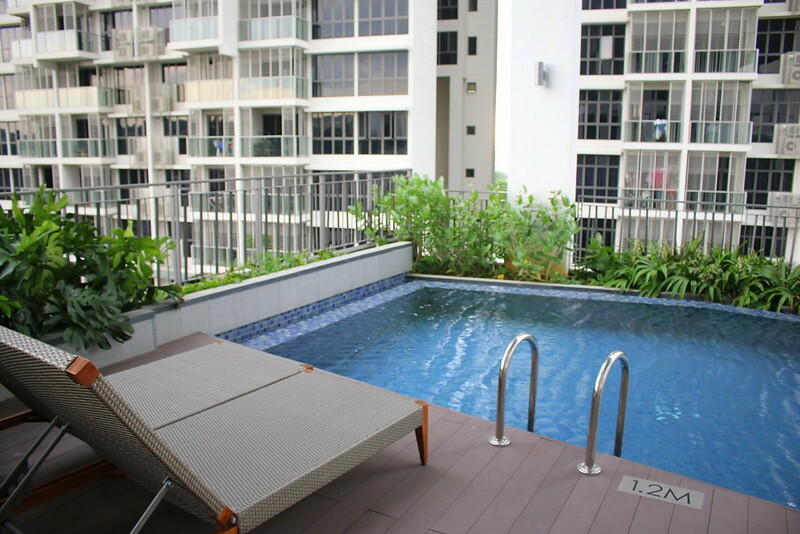 You also have the main pool downstairs which is shared with the condo next door. 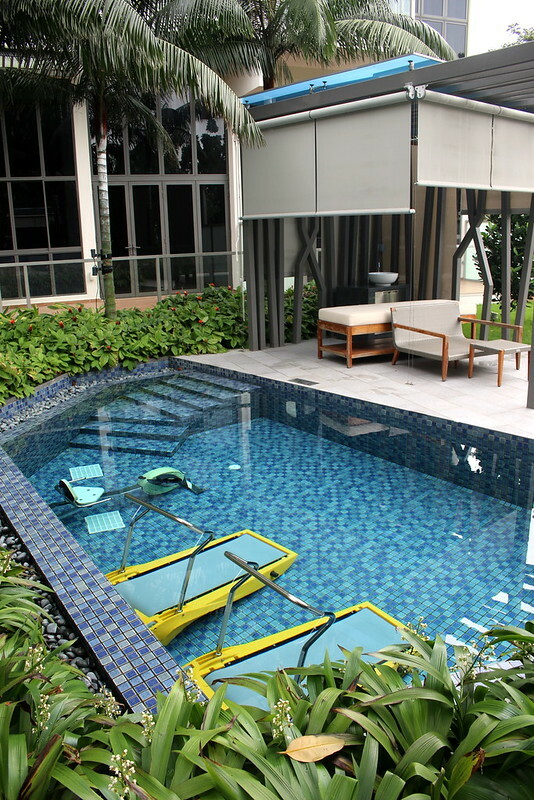 The shared facilities extend to several smaller pools as well - mist pools, spa pools, and this underwater gym with a massage bed next to it. 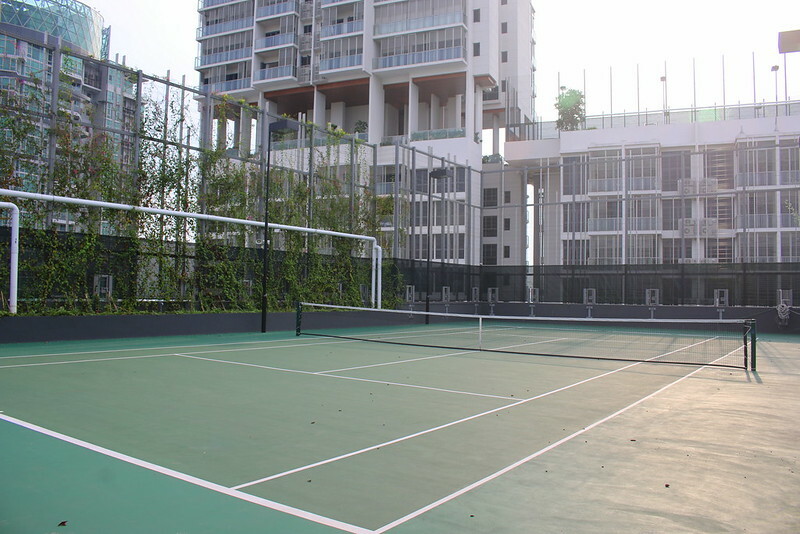 On the rooftop, you'll find tennis facilities as well as a small gazebo or viewing area. 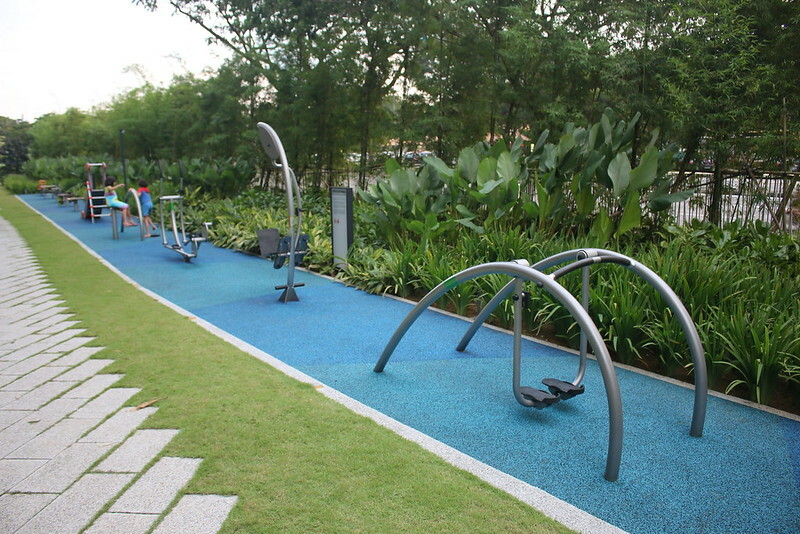 Back downstairs, there's a children's playground and simple outdoor fitness machines. 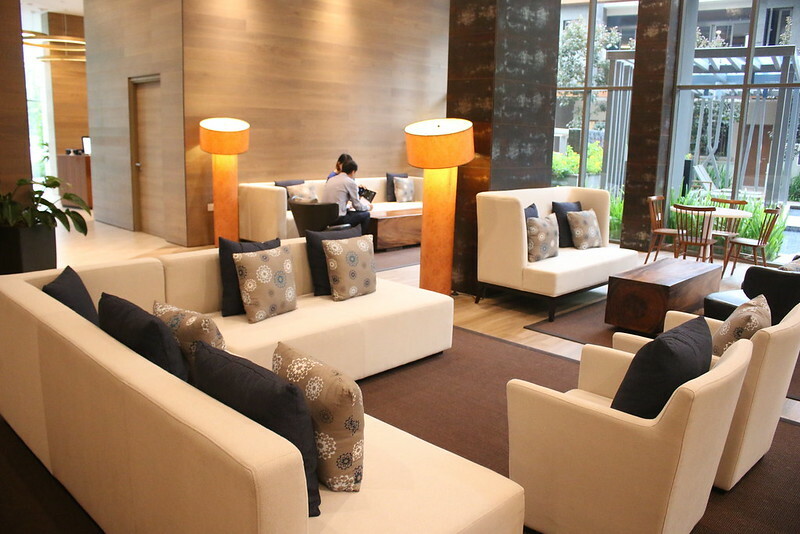 The living area downstairs is just lovely with plenty of seating and natural sunlight. 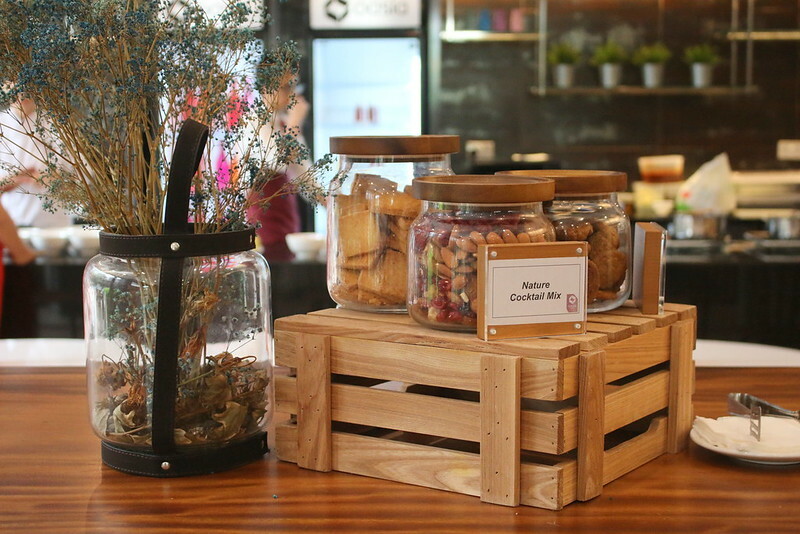 There are complimentary snacks (cookies and nuts) as well as drinks (juices, water, coffee and tea) in the lobby. The other nice touch is the library nook. There isn't a restaurant or cafe in the building but nearby you'll find West Coast Drive Food Centre within walking distance. And a 24-hour McDonald's is just across the road. 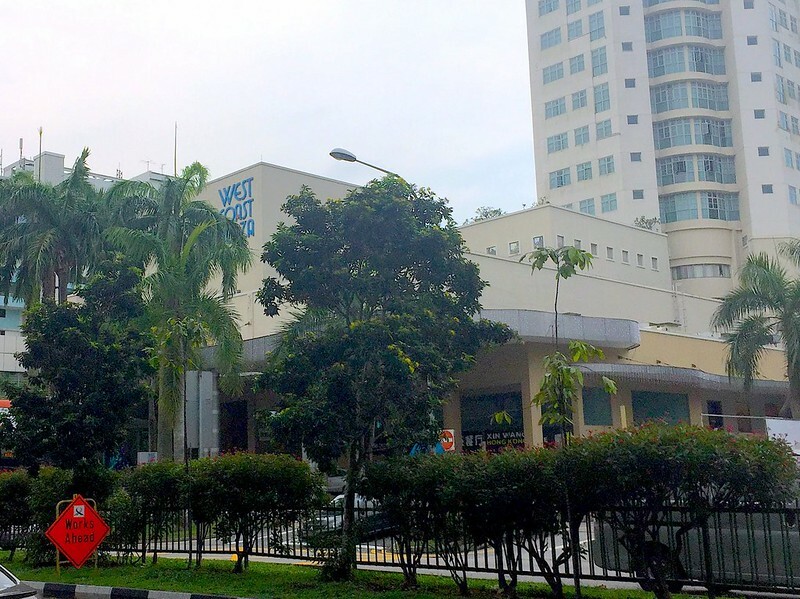 Shoppingwise, you have West Coast Plaza across from the food centre. 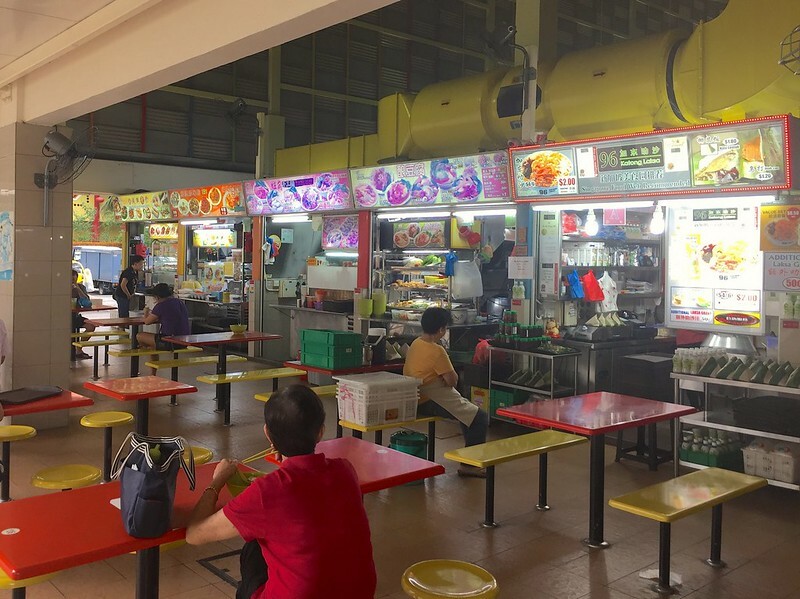 A Sheng Shiong supermarket is also nearby (ask the staff for a shortcut path). 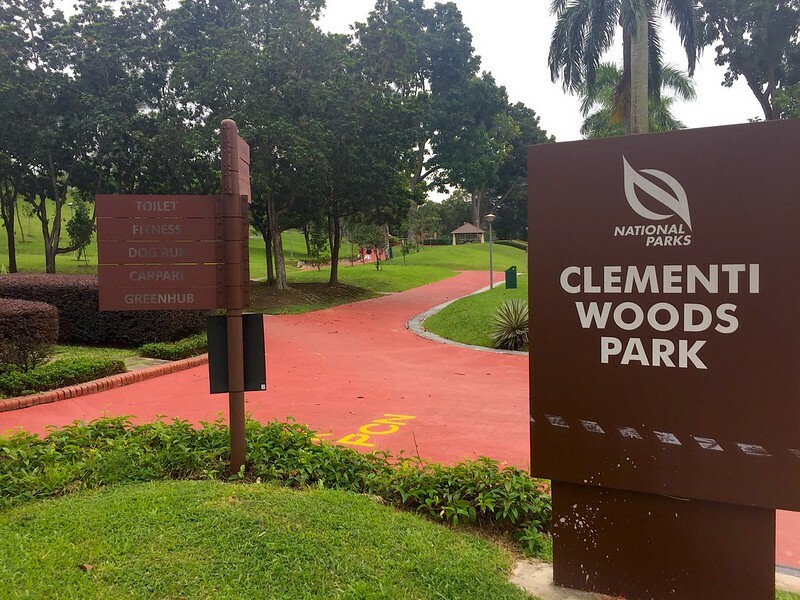 Clementi Woods Park is just down the road - good for walks and jogging. 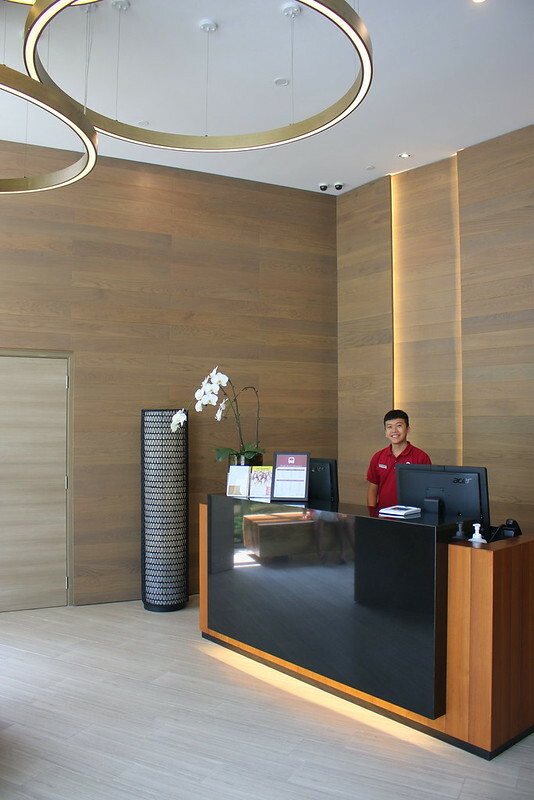 Oasia Residence is ideal for business and leisure travellers planning longer stays in Singapore. 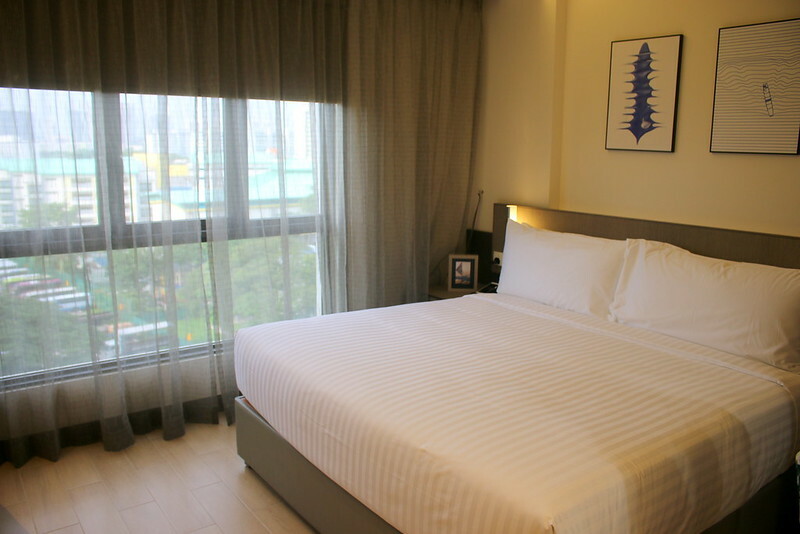 Opening room rates start from S$250 per night for a studio apartment to S$350 per night for a two-bedroom apartment. A minimum of seven nights is required. Right now there's a 35% discount if you book directly via the website. Many thanks to Oasia for the experience.